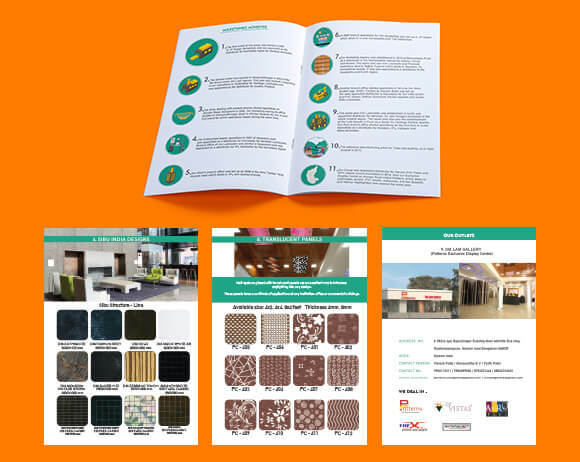 Product Catalogue Design for Om Group – a distributor of laminates in Bangalore with an extensive collection of 1200 laminates. Om Group was participating in an industry tradeshow for which they required product catalogue design. Crafting Genius set up a photo-shoot at their warehouse, to get high-quality images of all their products for the portfolio. We also used a few existing photographs after re-touching them to improve their quality. We designed and created the content for a 55-page product portfolio that also showcased the unique experience centre the client had constructed. We also created an event invitation for them which they shared with all their patrons. Unlock the full potential of your brand.